I was up in the middle of the night to take a look, unfortunately the clouds were out. Did see a blobby sliver of light go into full eclipse. 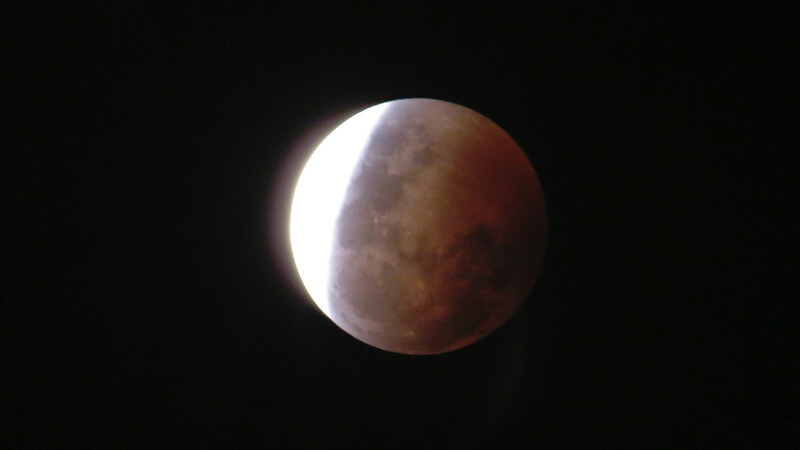 Eclipsed Moon was grey behind the cloud cover. Here's some shots from TheMoMan.. . looks like he had clear skies! I had some breaks in the clouds for the early part of the eclipse, but clouds totally eclipsed the total eclipse. the moon-set and sunrise are both visible. Conveniently, the clouds broke shortly after the eclipse. I am just not a morning person. Maybe there wasn't anything really special about it, but I can say the moon was really awesome to behold yesterday evening on my way home from work. If these sort of things were to happen late at night, I'd be totally cool with staying up for it. Getting up early...it'd probably have to be something stupendous that wouldn't happen for another 200 years. Hey Druid, your Moon is eclipsing the wrong way! Thread Jack----- ToNight there is supposed to be a solar eclipse, I can tell it is happening on the other side of the clouds, because of the dimming soon sundown will occur and this years chances will have passed. 'Twas cloudy here... until about an hour AFTER the partial eclipse. Hey MoMan, as I'm sure you know, a big solar eclipse is coming in 2017! Don't settle for a partial view, total is a must-see! Plan on traveling to see it. Snaggy, during High School 1960-64 my parents lived in the path of of a TOTAL, it got really dark during the afternoon. My friends and my self had built viewing boxes Pin Hole shades and had some number twenty welding glass. I will never forget that day. Hmm...sounds like an excuse to visit Portland, OR and take a day(night!) trip to the path of it. I don't have Google Inbox with its little string thing...be sure to 'blog' about it closer to the day, mmkay? MoMan, were you in the full totality? As in, could you look at the corona directly, naked eye? I saw the Mexico one in 1991... indescribably beautiful. 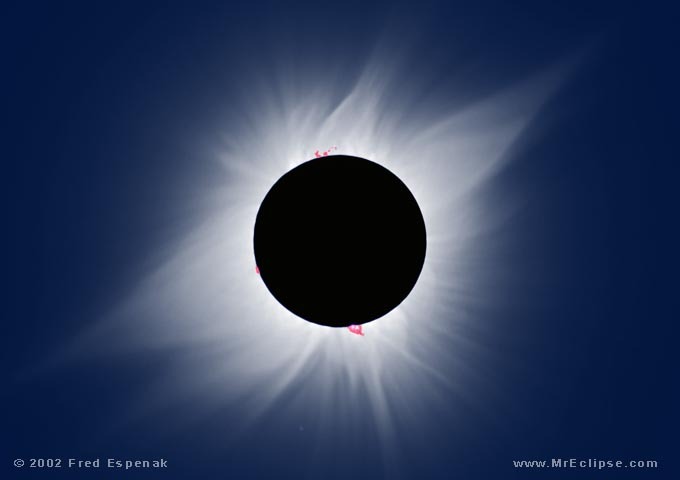 The corona shimmered like it was alive with electric particles. Snaggy back then the opinion was that you could take off the viewing box but DO NOT LOOK UP. Now they revise the rules? Well, if you were in a partial eclipse zone, they don't want you staring at the Sun, even a little piece of it. If you're in totality, in the small zone of full shadow, you are crazy not to.